Question: We just bought our first home a couple of weeks ago. How can we tough out our first winter as homeowners and avoid weather related problems? Answer: Winter is coming and you’re not too late to get your home ready for it. Hopefully you had a home inspection before buying your house and all the systems are working properly or you’re aware of any issues that need attention. Whether you’re a new homeowner or have been one for a while, there’s always something you can do to avoid home maintenance issues and save some money. Clean up the remnants of fall and check for any signs of wear to the exterior of your home. Check your rain gutter downspouts. When gutters backup, they overflow and water runs down your home. Keep the gutters clean and make sure water is getting moved away from the home. Add downspout extenders if necessary. Make sure the soil around your foundation hasn’t settled, creating areas for water to pool at your foundation. If you find a low spot, simply fill it in with some soil. Saturated soil around a foundation can create a problem when it freezes and thaws throughout the winter months. Always disconnect garden hoses before winter arrives. Drain garden hoses or freezing water will split them open and you’ll have to replace them every year. 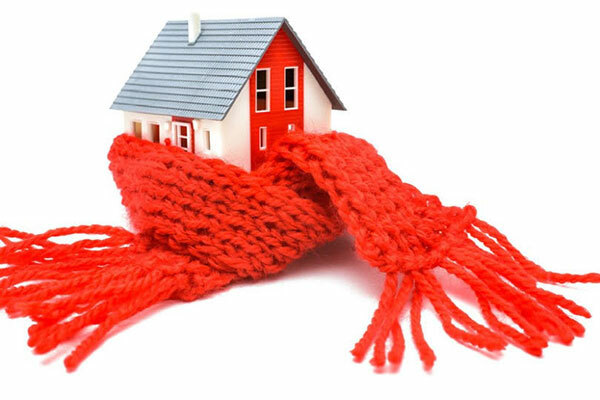 Keeping your home’s pipes warm and insulated is key to avoiding the expensive mess of a frozen and burst pipe. Treat any existing water leaks and cover any exposed pipes with insulation. Winterize your outdoor faucets to prevent them from freezing, which can lead to a burst pipe and spray hundreds of gallons inside the house. A high-tech thermostat (Nest is ideal and it makes a great gift for homeowners!) can do wonders for managing your energy bills, but even a regular programmable thermostat can lower your bills significantly. While you might prefer your home to be a toasty 72 degrees, it costs money to keep the temperature that high throughout the day. So while you’re at work, set it to something like 65 degrees and push it back up when you get home. While the savings might not seem like much in one bill, you’ll definitely notice at the end of the season. Change your filters and have the system inspected by a reputable HVAC contractor. If you have a few rooms you rarely use, just close those vents and shut the doors so that you’re only heating the rooms you do use. Did you know if you replace your old water heater with a new Energy Star-qualified heater, you could save up to 50% on your heating bills? That huge savings can help your new water heater pay for itself. Hot water heaters typically are set at 140 degrees. Lower the temperature on yours to 120 for fuel savings. You’ll reduce the chance of accidental burns and the water still will be plenty hot for bathing, washing clothes and doing dishes. Set fan blades to move clockwise in winter, and run fans slowly. This will lift cool air to the ceiling and push heated air down where you can enjoy it. Now set the thermostat a bit lower and enjoy the warmth. Look for air leaks. Things like winter-weather stripping and draft stoppers are easy to install and even easier to remove when warmer weather rolls around. Only use your kitchen and bathroom exhaust fans when you absolutely have to — they pull hot air out of your home and can represent a small increase in your heating bill. Your attic is the perfect winter home for squirrels and birds. These critters can cause a lot of damage and potentially some health problems. Make sure your trees are trimmed well away from the house and make sure your gable vents are intact. Tack a screen up behind your gable vent just in case. If you don’t remember the last time you had it cleaned by a pro, you can tell if your chimney needs cleaning is to run the point of your fireplace poker along the inside of your chimney liner. If you find a 1/8-in. layer (or more) of buildup, call a chimney sweep. I hope these tips help you stay warm and save money this winter!